Zaragoza International Airport is located 10kms from the city of Zaragoza, it’s a nice but very small airport. In order to get to the city center (P M Augustin), you can take the bus located at the airport exit. The bus operates every day and departs from the airport each half an hour (except on Sundays, when it departs once a hour). The journey takes 30mins and costs around 1,60€. 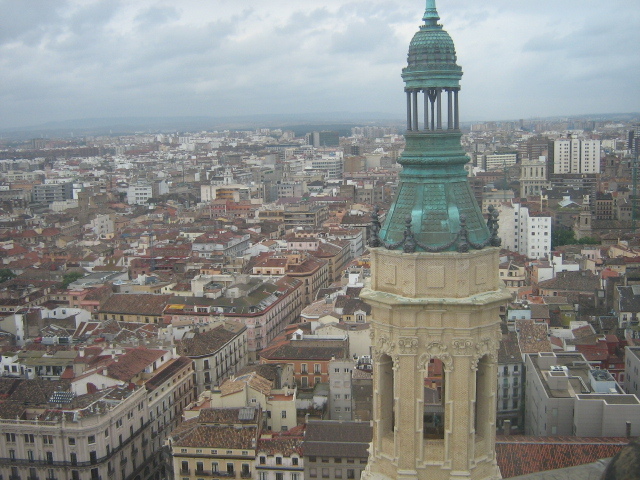 Zaragoza is the capital of the autonomous community of Aragon and has a lot of history. The city offers many special attractions, all nearby, so no need of public transport to move. Start your visit from Paseo de la Independencia, the main street in the city, full of stores and cafes. Walk along Paseo de la Independencia and you will get to Plaza de Espana, a very nice place where the old center meets the new one and it’s the hub of culture, business and transportation for the city. You’ll also find important architecture, museums, monuments, shopping, restaurants and bars. You will leave the modern city behind you to immerse yourself into the old town. Take Calle Alfonso I or Calle Don Jaime I and you will arrive in Plaza del Pilar, the main square of the old town. The place has important historical buildings in the whole perimeter: Basilica de Nuestra Senora del Pilar, Catedral de la Seo, la Lonja. Nuestra Senora del Pilar basilica is one of the most visited places of pilgrimage in Spain, consecrated to the patroness of all Spanish-speaking countries. The baroque building is flanked by four towers. In its interior the wall-paintings in the cupola, works of Goya and Bayeau, are of particular interest. La Seo cathedral is a great Gothic cathedral, with some neoclassical and some baroque elements . In its interior, which consists of five naves with lateral chapels, the main-altar with splendid reliefs and the Mudejar-style apse are remarkable. La Lonja is the historical Stock Exchange office. It is a remarkable artistic building, used nowadays for exhibitions. Take the street behind the churches and take a walk in the historical street Av. de Cesar Augusto. Along this street you will find the Plaza del Mercado Central. Just next to this place is the Tower of Zuda. Take a walk up this tower and you will enjoy a fantastic view of the city. Now walk towards the coast and enjoy a nice walking along the Ebro river, it is very enjoyable especially with a good weather. Enjoy also the fabulous bridges Zaragoza has, for instance the Piedra Bridge and Pilar Bridge. When you arrive in front of the Pilar bridge, leave the river side and go back to the inner streets, you will arrive at the Roman Town Walls. This is one of the main landmark in the city and is still very well conserved. Just next to the Roman walls, you will see the Magdalena church, a wonderful piece of Mudéjar style. 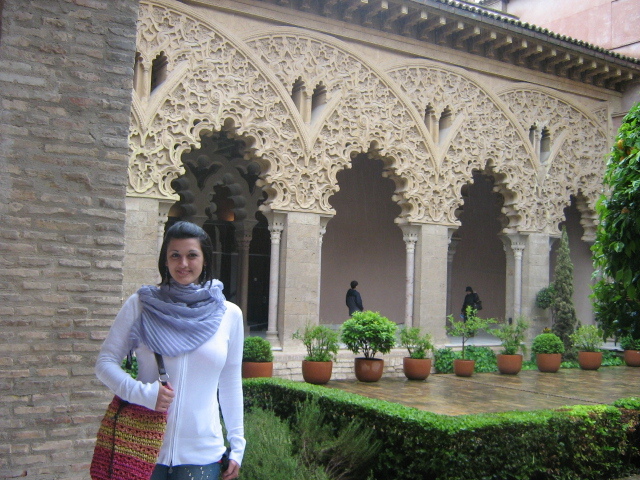 Next to these attractions, you will find also the Dean Arch, a great piece of Gothic and Mudéjar style. After a big cultural tour, it’s time to relax and enjoy the city center. Just have a walk in the small and old streets of the city, enjoy the nice atmosphere and the ancient and historical buildings. This is also a great place for the nightlife, since all these small streets during the night get crowded with people having drinks or eating in the numerous restaurants the city offers. If the first day in the city was dedicated to the discovering of the city center, of its old and modern part, the second day is dedicated to a fantastic historical building a little bit far away from the city center, but manageable on foot with a 20mins walk. We are talking about the Palacio de Aljaferia, a simple wonder of the Hispanic-Islamic Architecture recognized as UNESCO World Heritage Site. This masterpiece was built in the second half of the 11th century as residential enjoyment of the Taifas. 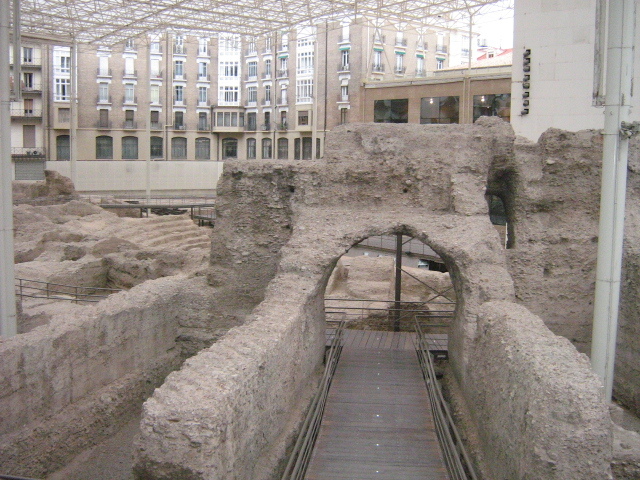 With the fall of Zaragoza to Alfonso I, the Palace became the home of the christian kings of Aragon. It is a palace of quadrangular plan with rounded towers except for one of them, known as the Troubadour’s Tower, which has a rectangular plan. The rooms are arranged around the courtyard, which is open to the sky. Its roofs, ceilings and plasterwork decoration are some of its greatest charms. 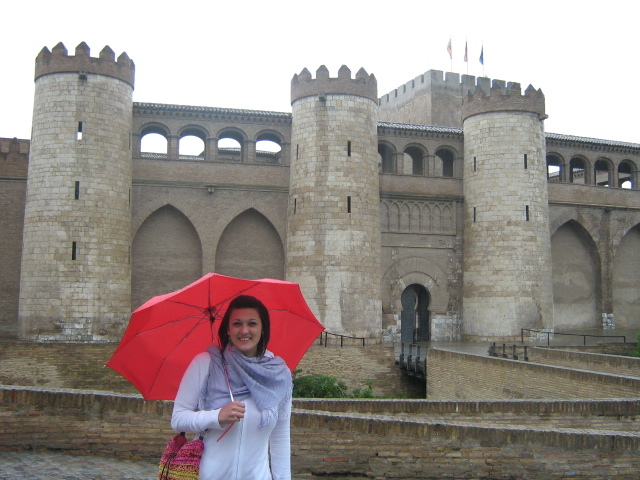 This building is entirely a wonder, you cannot miss it if you go to Zaragoza. The Water Tower stands 76 metres high and can be understood as a dual structure uniting the two separate elements that make up the building and give it its unique profile. The transparent body, wrapped in glass with a sculptural form in the shape of a drop of water, is an iconic structure. This design allows the building to offer two faces: an opaque building during the day and a great shiny beacon at night. The Pavilion Bridge (Pabellon Puente) is a great bridge built in steel located along the Ebro river. Its cladding is inspired by shark scales and creates a natural microclimate in the interior. This is a cooling system where air is exchanged through the building’s porous skin. The Aragon Pavilion (Pabellon de Aragon) is a great building made by intertwined panels of glass and micro-concrete with white glass fibre, providing the interior with a large quantity of natural light. This weave is opaque in the base, becoming more transparent as the building gets higher. The building is also designed with energy-saving characteristics, making it an “environmentally responsible” structure. The Spain Pavilion (Pabellon de Espana) is one of the hotspots of the Expo area and is the result of a commitment to blend architecture with the environment and sustained development. It reproduces a wood of pillars that envelops open volumes of glass, conceived under energy-saving criteria, with a large roof that provides the building with shade. The Aragon Congress Center is built with a horizontal frame and a wave-like roof with skylights to allow sunlight to enter illuminate foyers and common spaces. Likewise, the rooms receive natural light from outside by means of translucent facade walls, in alternating stretches of glass and metal latticework. The white glass fiber reinforced concrete roof enhances the thermal insulation properties of the building. Zaragoza Fluvial Aquarium is the largest of its kind in Europe, the third largest in the world and can be found in the heart of the Expo 2008 site. Its purpose is to educate, research and inform throughout a natural journey along the five of the world`s great rivers: Nile, Mekong, Amazon, Darling Murray and Ebro.